We can’t believe the year’s drawing to a close already – where did the time go?! One good thing about the days getting shorter and the nights drawing in, though, is that it’s nearly time to celebrate the year that was 2017 and also see in a new one in style! 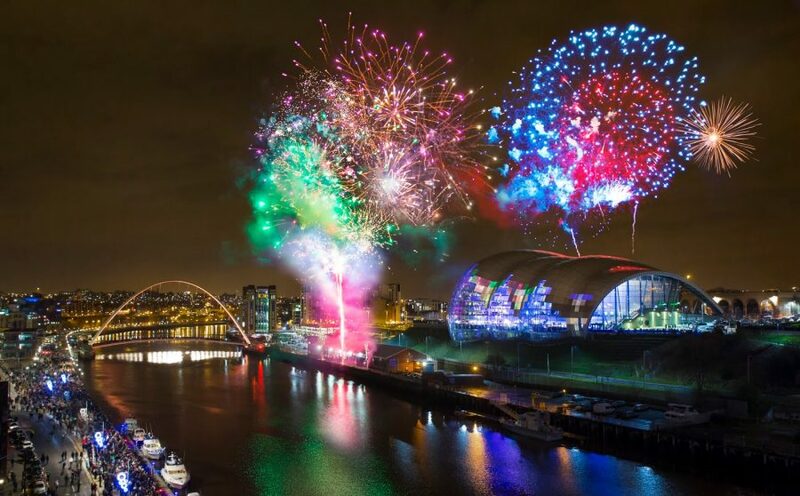 With a mouthwatering new menu on the cards, why not celebrate New Year’s Eve in luxury and comfort at Newcastle’s premier quayside champagne bar and restaurant, the Silk Room? This year, our guests will be able to enjoy some sumptuous dishes including Slow Roasted Northumbrian Lamb Shank, Chicken Breast filled with Camembert & Thyme, Steamed Fillet of Sea Trout and our famous Wagyu Beef Burger all finished off with some delicious desserts. Please check out our exclusive new menu for 2017 by clicking here. You can book by calling us at 0191 260 3506. We had a really great evening. Staff could not do enough for us and food tasted amazing. Understand why is has a great reputation now. We will be back. I recommend the Silk Room highly. Give it a try, its perfect setting for a romantic night out to relax. A simply superb evening, food and atmosphere excellent. We will be going back again soon. Fantastic! Lovely food and the polite friendly service. Very warm and relaxing atmosphere. Great value too – especially for the steaks and wine. Nothing to fault. Highly recommend this place and will definitely return soon. The Silk Room is a must try for anyone who enjoys great food and champagne in stylish surroundings. Came here again after having a brilliant time a few months ago. The food was again top notch. Staff were fantastic again. Make sure you have one (or two!) of the champagne cocktails! Had a meal here after my son’s graduation. Perfect for a special occasion, excellent food, friendly and attentive staff and a relaxing and intimate surroundings. Perfect! The Silk Room Champagne Bar & Restaurant on Newcastle Quayside is one of the North East's best restaurants. Our food is prepared using the finest local produce from the region married together with the freshest seasonal ingredients by our skilful team of chefs. © 2018 Silk Room Restaurant & Champagne Bar. All Rights Reserved. Registered No: 04118177.